If the very sound of a “high-deductible health insurance plan” makes your head spin, you’re not alone. Last week on the PBS NewsHour, health correspondent Betty Ann Bowser explored the growing popularity of these insurance options with high out-of-pocket costs and low premiums, and the questions flooded our inboxes. Here to answer 10 of them is Phil Lebherz, the founder and chairman of LISI, an agency that provides support for health insurance brokers throughout California. Responding to those same questions from the consumer-protection side are Marc Steinberg and Cheryl Fish-Parcham — the deputy directors of the left-leaning patient advocacy group Families USA. Steinberg specializes in Medicare and Fish-Parcham in private markets. Viewer: No one can predict that next month they will not be diagnosed with breast cancer or MS or fall down the stairs and tear the ligaments in their knee. How is a secretary or file clerk making $27,600 (median earnings in the U.S.) supposed to come up with the deductibles? Or the typical median household with its income of $50,000, if that family has a child with hemophilia? Phil Lebherz: Depending on the household size and income, they may qualify for a public program. In some states, a family of four can make up to $46,000 to $92,000 and still qualify to have their kids on a State Children’s Health Insurance Plan (SCHIP). To search all available public programs, take the Eligibility Quiz at www.CoverageForAll.org. It’s a five-step questionnaire that will give you a personalized list of your health coverage options. There is also access to affordable critical illness plans available online. These are individual policies that protect against illnesses such as cancer, stroke, heart attack, etc. These are customizable, affordable, and recommended to families with a history of critical illness. Cheryl Fish-Parcham: That (cost issue described by the viewer) is exactly the problem we see with high-deductible plans. A “high-deductible plan” is one in which you must spend $1,200 or more for health care before your plan begins covering most expenses. Under the Affordable Care Act, if you purchased a high-deducible plan after March 2010, it must offer free preventive care even before you meet the deductible. However, you still have to pay for everything else until your deductible is reached. For a family plan, a high deductible is $2,400 or more. People who purchase high-deductible plans are permitted to deposit money in a tax-free health savings account to use for their out-of-pocket medical expenses, but many people cannot actually afford to put health savings aside. For now, if your employer is considering establishing a high-deductible plan, you can advocate that your employer contribute as much as possible to employees’ health savings accounts to help people pay for care until they reach the deductible. Unfortunately, too many people have high-deductible accounts but no savings and no help from their employers to meet deductibles. In 2014, the Affordable Care Act will help people who purchase coverage through a marketplace called an “exchange” by providing financial assistance with premiums and cost-sharing. For example, people with low and moderate incomes will not have to pay as much in copayments, co-insurance, and/or deductibles as other people. Decisions are still being made about exactly how this will work, so it is good for you to share your concerns about deductibles with your elected officials. Viewer: I pay $800 a month with a $5,000 deductible at 50 years old for just myself with Blue Shield of California because I had cancer back in 2008, but I’m healthy now. Other than the yellow pages, where can I get good information about the top five competing insurance companies that I should compare Blue Shield of California against? Lebherz: Talk with a broker/agent and they will be able to compare all plans and insurance carriers for you in your area. You can find a broker/agent by going to www.NAHU.org or to conduct the research yourself online at www.eHealthInsurance.com. To learn more background on insurance carriers in your state, you may want to contact the California Department of Insurance. Fish-Parcham: A great government website is www.healthcare.gov. It has comprehensive information about health coverage. If you click on “Find Insurance Options” and answer a few questions about yourself, you will get to a page that lists insurance options in your state. You can sort plans according to different features — for example, you can sort for the most popular plans (those with the highest enrollment in your state) or for the plans with the lowest deductibles. After you sort, you can look at a quick summary of each plan that interests you to learn more about what it covers and what deductibles and other costs you will face. You can also call a consumer assistance program for help understanding your options. In California, the Department of Insurance, the Department of Managed Health Care, or the Health Consumer Alliance can all help answer your questions. In 2014, the Affordable Care Act will further improve your access to health insurance. Plans will not be able to charge you higher premiums or deny you coverage based on your health status, and they will be limited in how much they can increase premiums based on age. Further, an insurance exchange will be operating in every state, where you will be able to get information on both private and public coverage and apply for assistance with premiums and cost-sharing. Viewer: Though not unhealthy, I have some health issues and am now developing age-related health problems, i.e. prostate problems, arthritis and possibly high blood pressure. Am I a good candidate for this type of policy? If someone is unemployed or would be unable to pay the deductible anyway, should they just choose to be uninsured? Lebherz: It’s best not to cancel your plan until you are accepted by a new plan/insurance carrier. For most states, the individual market is underwritten, which means they will need to review your health history, evaluate the risk and determine if they are going to accept or decline your application for coverage. If you are able to switch, this may be a good option for you, especially if you select a high-deductible plan that is HSA-compatible, where you can save money to cover your deductible. The money in this account will roll over every year and will not be lost. Fish-Parcham: It is better to have insurance than to be uninsured, especially if you have health problems that could require substantial care in the future. However, if you purchase a high-deductible plan and can’t actually afford to pay for care until you reach the deductible, you could continue to have trouble getting providers to see you and you could still face medical debt. Ideally, it would be better to purchase a lower-deductible plan. However, we recognize that not everyone can afford that. A high-deductible plan would still offer you some protection against the greatest expenses if you were hospitalized, for example, or if you can find providers that are willing to take what you can pay them until you reach your plan’s deductible. Sometimes charities will help you with the cost of health care if the amount you need is finite and they know that insurance will eventually pay your other costs. Viewer: For those over 65 and on Medicare with no current health problems, how does having a high-deductible insurance policy as a Medigap policy compare to signing up with an HMO or PPO where there are copayments and/or co-insurance for usage? Is there a quality control issue that would have an influence on deciding to stay with high-deductible plan or go with an Advantage program? Lebherz: When you become eligible and enroll in Medicare, you will find that there are defined copays and deductibles. A Medicare Supplement or Advantage plan fits into the Medicare deductibles and copays like a puzzle piece, whereas a traditional high deductible plan outside of Medicare isn’t designed to cover these Medicare deductibles and copays. Thus, if you are eligible for Medicare, it is often less expensive and better coverage to sign up with a Medicare supplement or Advantage program. Marc Steinberg: This question seems to really be about the different ways for people with Medicare to fill the gaps in the basic Medicare benefit. Private Medigap policies supplement traditional Medicare and cover most or all out-of-pocket costs. Private Medicare HMOs or PPOs (called “Medicare Advantage” plans) are an alternative form of coverage. They are provided by private insurance companies that contract with Medicare. Their plans must provide coverage that is at least on average equivalent to basic Medicare. Most Medicare Advantage plans charge fixed copays for services like doctors’ visits and have lower deductibles than traditional Medicare, and some provide coverage that is not available in traditional Medicare. But these plans usually limit which doctors and hospitals you can use. Whether someone is better off with traditional Medicare plus a private Medigap plan on one hand, or a Medicare Advantage plan on the other, really depends on that person’s situation. Traditional Medicare allows people to see any doctor in the country who accepts Medicare. Medicare Advantage plans usually have limited provider networks and limited coverage when traveling away from home. Private Medigap premiums are often high, but they usually provide very stable protection against out-of-pocket costs as long as the beneficiary holds the policy. Medicare Advantage plans can change the terms of their coverage every year, and may have higher cost-sharing than traditional Medicare for specific services like home health care. Also, if you decide to drop your Medigap plan to join a Medicare Advantage plan, you may not be able to get that Medigap plan back in the future. So weigh your options carefully. The official Medicare website, www.medicare.gov, provides information about the traditional Medicare benefit and every Medicare Advantage plan by geographic region. It also includes ratings of the quality of Medicare Advantage plans so that beneficiaries can select a plan on more than just its cost. You can also call 1-800-MEDICARE and ask for a referral to your local State Health Insurance Assistance Program (SHIP) for free individualized counseling. Viewer: Is there a list in existence of how I can use my HSA, and is the $3,100 the total that can be contributed yearly, or the most an account can have? Lebherz: Yes, check your summary plan document from your insurance carrier (you would have received this document when you signed up). General rules on how you can use your HSA can be found here (always up to date). An HSA has an annual contribution limit of $3,100 for individual and $6,250 for a plan that has two or more enrolled. You cannot exceed this amount in any given year, however, you can continue to contribute annually. As of now, there is no maximum account balance determined. You can continue to contribute annually so long as you are enrolled in an HSA plan. Fish-Parcham: The Internal Revenue Service (IRS) puts out guidance about the amount of health savings account (HSA) contributions that are tax deductible. In 2012, individuals with single coverage in a high-deductible plan can make annual contributions to their health savings account of up to $3,100, and individuals with family coverage in a high-deductible plan can make annual contributions of up to $6,250. See this IRS publication for some exceptions: http://www.irs.gov/pub/irs-pdf/p969.pdf. This same publication, along with IRS Publication 502: http://www.irs.gov/publications/p502/index.html, explain what are “qualified medical expenses” for which you can use your HSA. For example, they explain that you can use an HSA to pay for prescription drugs and insulin that you purchased after your HSA was established — but if you do so, you cannot claim a tax deduction for these same expenses. Publication 502 provides a detailed listing of qualified medical expenses. Viewer: I am on a low-deductible plan and when I renew each year, I get a message about being grandfathered in; about how if I opt for a higher deductible plan, I will no longer have the option of changing back to a low-deductible plan; that things may change depending on how laws change and play out. I am paying very high premiums and I’d like to switch to a higher deductible plan but don’t know if I dare risk it. What sorts of things should I know about all this and how do I decide what to do? I’m 60 years old, unemployed/living off retirement funds, with a few health issues but nothing serious … yet. Lebherz: Compare the premium savings with the cost of a critical illness plan or accident plan. Perhaps if you can save enough money to purchase each of these, it would be advantageous to switch to a higher-deductible plan. Be sure that your Rx is still covered under any plan selected. Fish-Parcham: Plans that you purchased before 2010 and that you have renewed without changes do not have to comply with certain requirements of the Affordable Care Act. For example, they do not have to adhere to new requirements to cover preventive services without cost-sharing, offer you access to OB/GYNs without a referral, limit charges for out-of-network emergency services, or provide improved rights for you to appeal a health plan’s decision. Additionally, grandfathered plans may not cover all of the same benefits that newer plans are required to cover in 2014. The protections that new plans must offer are generally helpful to consumers. However, before you give up a low-deductible plan, you should think carefully about whether you will be able to afford medical expenses before you reach the deductible in a high-deductible plan. Are you a person who is able to set aside money in a health savings account? If you spend the money in that account for medical expenses this year, will you be able to save again in the future? Keep in mind that many plans require you to satisfy an even higher deductible if you go out-of-network for care, which is sometimes unavoidable. Would you have enough resources for this as well? Be sure to look carefully at what the plan covers and at the costs that will be left to you. Viewer: I’ve read that many personal bankruptcies involve a medical event, even when the person has some kind of health insurance. Are there numbers on how high-deductible plans are represented in those figures? Lebherz: Must not be real “health insurance” if it caused someone to go medically bankrupt — typical plans cover up to $5 million. If someone goes out of network, the doctor can charge whatever they want to and the insurance company will only reimburse up to what is Usual and Customary. The difference in costs can be quite high. Be sure to stay in-network. Fish-Parcham: This report, from 2005, shows that people with high-deductible plans are much more likely to face medical debt than other insured people and also often go without medical care due to the cost: http://www.commonwealthfund.org/Publications/Fund-Reports/2005/Apr/How-High-Is-Too-High–Implications-of-High-Deductible-Health-Plans.aspx. A number of studies about medical bankruptcy, including this one, mention that medical debtors include the under-insured (people with health insurance that nonetheless must spend substantial portions of their income for medical care due to their coverage being insufficient): http://www.amjmed.com/article/S0002-9343%2809%2900404-5/fulltext. Viewer: Typically, insurance companies negotiate a lower billing amount before payment. Under high-deductible plans, do individuals pay the ‘list price’ — or non-negotiated rate — making the plans more expensive? Lebherz: You will still receive the negotiated rate as you are still within contract as long as you stay in-network. The amount you pay is higher than non HD-plans because you are responsible for 100 percent instead of having a co-insurance that shares cost, but either way, you still get the negotiated rate. Fish-Parcham: People in high-deductible plans would still pay the negotiated rate for covered in-network services while they are satisfying their deductible. Like other people, they would pay list price for benefits that are not covered by their plan and could be charged list price for going to a provider or a facility that is not in their network. Viewer: The other side of the high deductible coin is that when you meet your deductible, as I have this year in January … man … I am on a shopping spree! My experience has shown me that my provider is a predator and when I get the upper-hand, if only for 11 months, I am going to run the table and spend as much of their money as I can. The system is so poisonous to any vestige of actual mutual respect and cooperation towards what should be the goal, better health. Editor: Panelists, how common is this “shopping spree” approach after a consumer hits their deductible? Lebherz: Not sure how common … but the “Shopping Spree” idea is a strategy if you have met your deductible and the insurance carrier covers 100 percent beyond the deducible. 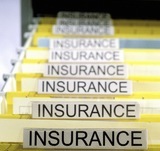 To prevent this from happening, some high-deductible plans also have co-insurance after the deductible, for example 80/20 up to $10,000 would mean you are responsible for 20 percent after the deducible and the insurance carrier will pay 80 percent up to 10,000 and then 100 percent beyond that threshold. Fish-Parcham: Most plans still charge copayments or co-insurance for services after a person meets a deductible. These out-of-pocket costs can add up quickly for people who need a lot of medical services because they have a serious or chronic condition. It is unlikely that a person would want to spend even more out-of-pocket if health care isn’t necessary. For many busy working people, simply finding time to get to the doctor for an annual check-up can be challenging. And few people think that a trip to the doctors or medical treatment is fun! But in the rare case where someone is driven to seek out excess care and finds a doctor who is willing to provide unnecessary medical treatment, health plans may identify the problem and generally will not pay for care unless they find the services “medically necessary.” This would deter “shopping sprees,” which would typically end up costing the patient a lot of money, even after a deductible is met. Viewer: I have a question that applies to insurance coverage in general, though I have historically had high-deductible plans. I have worked as a temporary employee for the federal government for the past six years. Since I am hired under a temp status, I am required to move states every five to six months to obtain semi-consistent employment. I am currently unable to obtain/retain insurance coverage because I have no permanent address or residency for that matter. The high-deductible plans I have looked into all require you to identify your state of residency, which — if incorrectly listed — seems to me would be an easy way of denying coverage. For the past two years, I have searched unsuccessfully to find a policy which is not based off of your residency. Are you aware of high deductible, year-round, coverage for migrant workers, regardless of which state they work in? Lebherz: The reason they ask is because price is based on ZIP code. However, if you move ZIP codes, cities, or even states, the insurance coverage will maintain, especially if it is a PPO through a carrier that has a nationwide network. Your company will not cancel your coverage because you moved, but they can re-rate the coverage based on a new ZIP code. If you can qualify, an option is to call your company to find out costs of the plan in the ZIP code you are moving to and compare it to another plan in the same area. If it is less and you can qualify, then switch. However, don’t cancel coverage until the new coverage is in place. Fish-Parcham: This is a tricky situation, but there are experts who can help. You might want to talk with some of the large health insurance companies with national provider networks, your current state insurance department, or a licensed insurance agent or broker to learn more about what exactly qualifies as permanent residency for the purposes of health plans and what your options are for finding continuous coverage. Editor’s note: Some questions have been slightly modified for clarity.